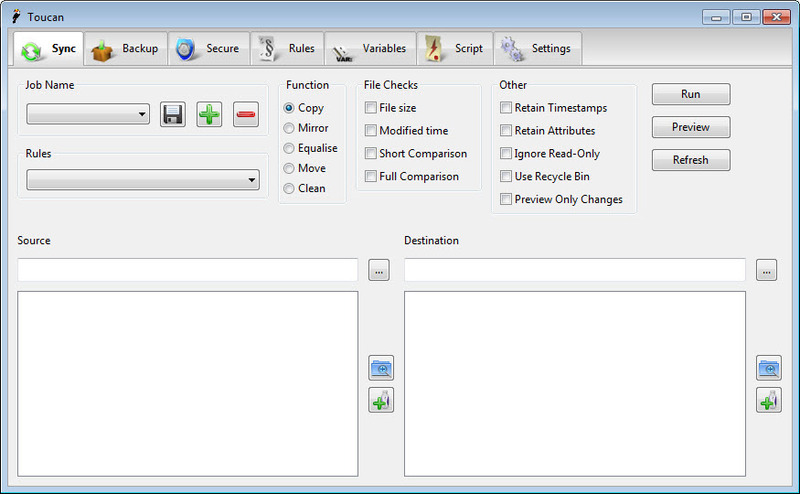 Toucan is a portable backup tool especially developed for advanced users. While small and light on the resources of your personal computer, this app brings together more functions that expected to. Not only that it can backup your sensitive data, but it can also secure it by encryption and synchronize any modification you may have done. 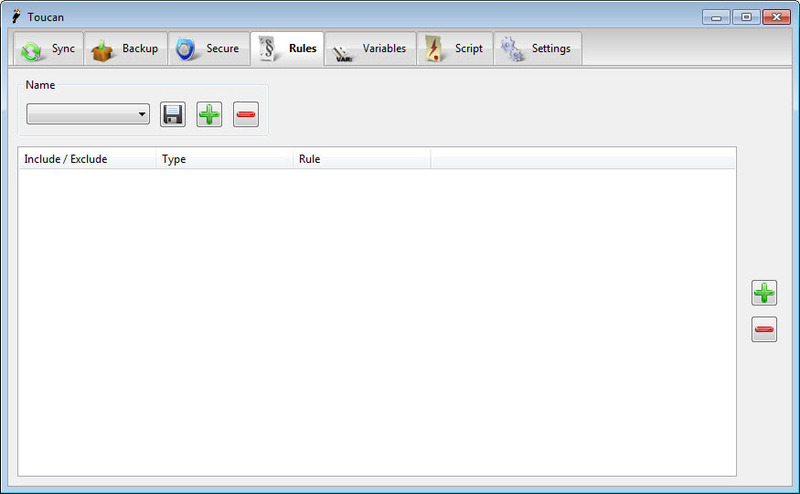 AES-256 encryption is used to shield files against unauthorized access. In terms of sync modes, users can count up to five: copy, mirror, equalize, move and clean. 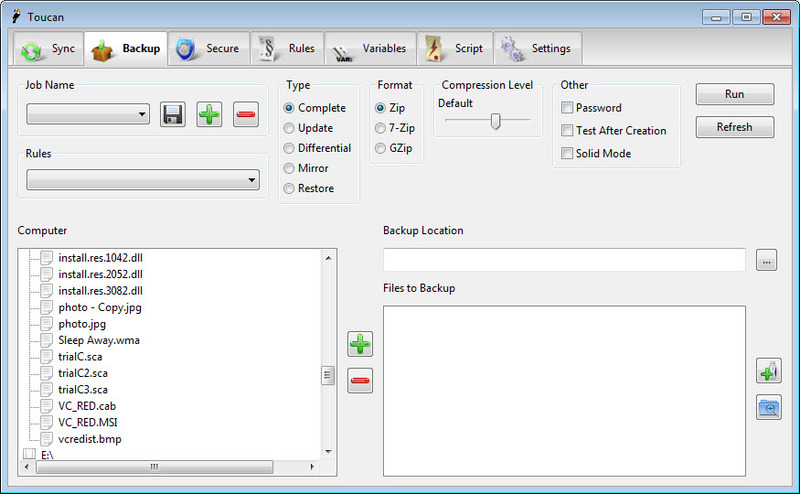 Backup also means compression by Zip, 7-Zip and GZip. 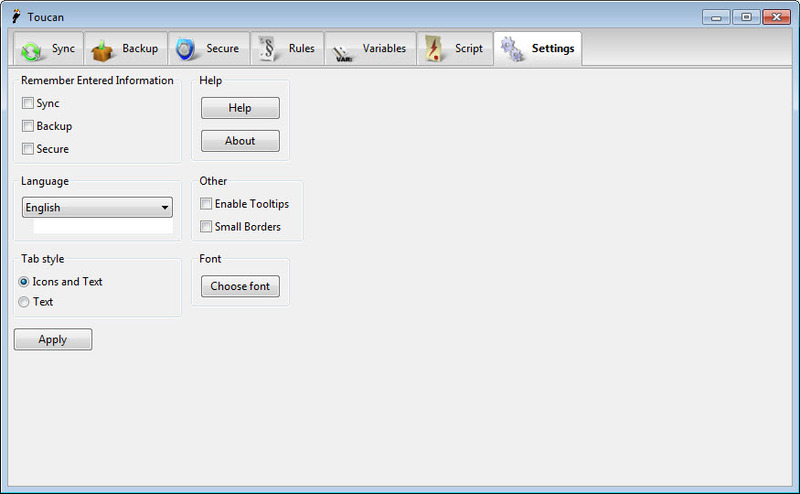 A command line system and scripting capabilities further enhance the flexibility of this app.